CLICK BELOW TO HEAR NICK BAZOO ANSWER THE QUESTION: HOW DID YOU GET YOUR START AT KMEL? CLICK BELOW TO HEAR NICK BAZOO ANSWER THE QUESTION: WHAT WERE THE TALENT MOVES THAT YOU MADE? CLICK BELOW TO HEAR NICK BAZOO ANSWER THE QUESTION: HOW DID LONDON AND ENGLEMAN GET HIRED AT KMEL? CLICK BELOW TO HEAR NICK BAZOO ANSWER THE QUESTION: WHAT WAS IT LIKE PREPARING FOR THE FLIP FROM ROCK TO TOP 40? CLICK BELOW TO HEAR NICK BAZOO ANSWER THE QUESTION: WHAT KIND OF POSITIONING CAMPAIGN DID YOU USE IN THE EARLY DAYS OF KMEL AS A TOP 40 FORMAT? CLICK BELOW TO HEAR NICK BAZOO ANSWER THE QUESTION: HOW DID YOU COME UP WITH THE "ALL HIT 106" KMEL LOGO? 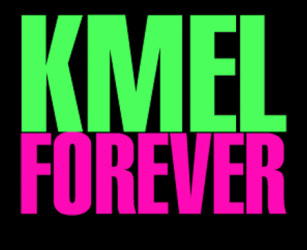 CLICK BELOW TO HEAR NICK BAZOO ANSWER THE QUESTION: WHAT WERE YOUR HOPES FOR KMEL AFTER IT FLIPPED?